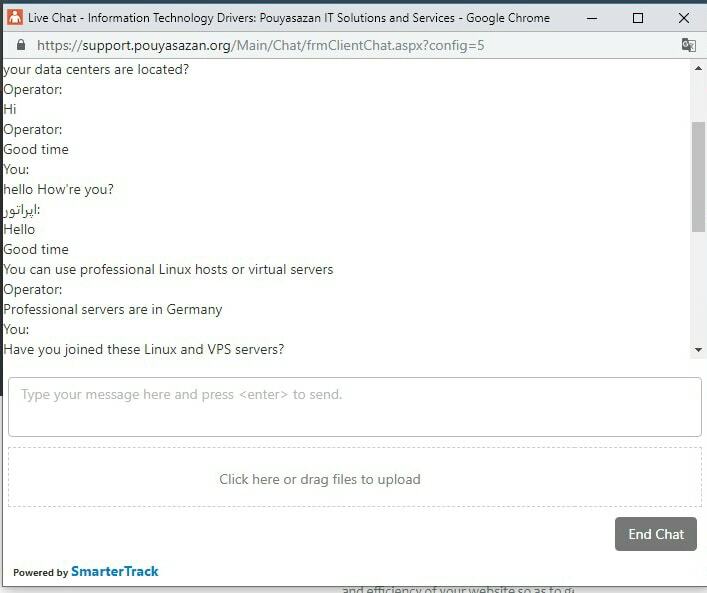 Pouyasazan Review 2019: Is Pouyasazan a Good Hosting? Founded in 2003, Iranian hosting company Pouyasazan has over 15 years of experience offering hosting solutions to businesses in Iran and beyond. Pouyasazan is a subsidiary of Pyyasazan Information Technology Company, an IT service provider based in Esfahan, Iran. This hosting company was founded in 2003, and it offers a variety of hosting solutions including shared hosting, domain name registration services, SSL certificates, VPS, and dedicated server solutions. The Pouyasazan website is available only in Persian. The shared web hosting solutions support Windows or Linux, and both variants support 12 plans each, which are only really suitable for hosting websites with modest resource demands. The basic Linux hosting plan includes 50 MB disk space, 2.5 GB monthly bandwidth, cPanel control panel, and 1 MySQL database. The starter Windows plan comes with 50 MB disk space, 2.5 GB monthly bandwidth, Plesk 12 control panel, 1 MySQL database, and 1 SQL server database. The premium Windows and Linux hosting packages include 30 GB disk space, 150 GB monthly bandwidth, unlimited email accounts, and unlimited MySQL databases. Pouyasazan’s backup services are performed on a daily, weekly, and monthly basis. It retains one of each kind of backup and lets you retrieve your data free of charge upon request. This provider’s servers are housed in German and U.K. data centers, and its virtual private servers are powered by KVM virtualization. Pouyasazan’s hosting plans are quite cheap. They are priced in Iranian rials and require you to make an annual commitment. There is no refund policy, and there is no uptime guarantee as far as I can see. For self-support, Pouyasazan provides a well-populated knowledge base and a regularly updated blog. With more than 15 years in the hosting industry, this vendor seems to have put a lot of effort into establishing its hosting infrastructure to deliver high-quality solutions for Iranian and international customers. The hosting solutions are cheap, and its highly-responsive professional support team differentiates it from much of the local competition. Get powerful Iranian hosting at Pouyasazan. Wondering how Pouyasazan stacks up against other Web Hosting companies? Enter any other Web Hosting company and we will give you a side-by-side comparison.